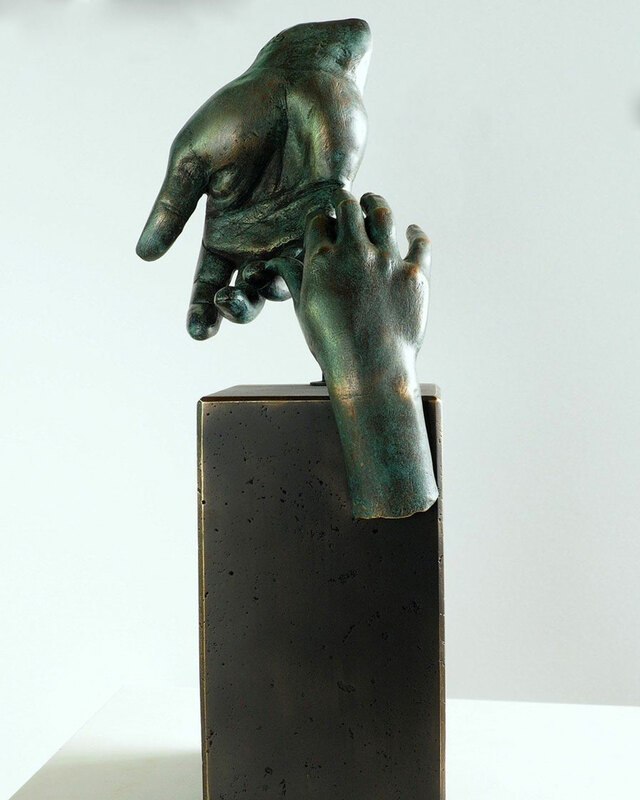 Father´s Hand by the sculptor Miguel Guía. 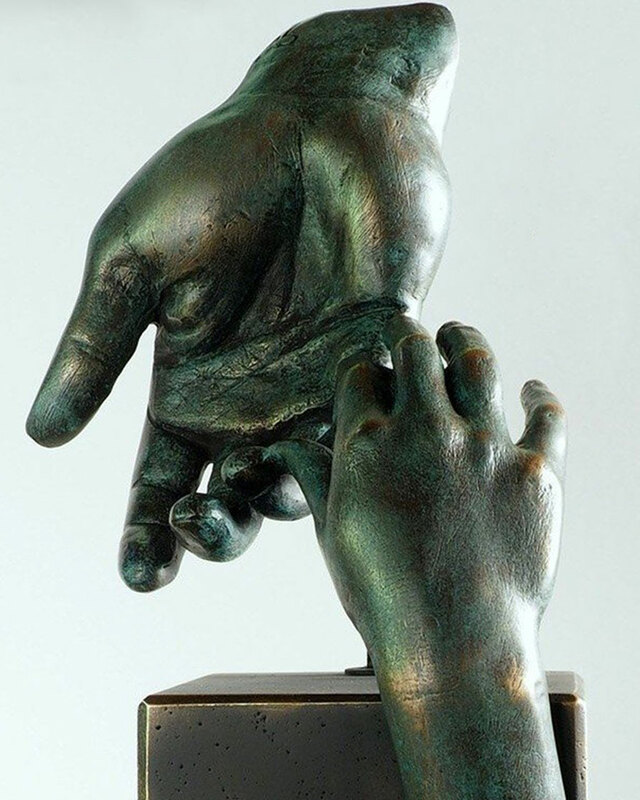 The work of this artist puts us in the exact moment in which the feelings of sensitivity and protection of fatherhood becomes tangible at the instant when a father holds the small hand of his child, making allusions about the resulting responsibility and happiness. 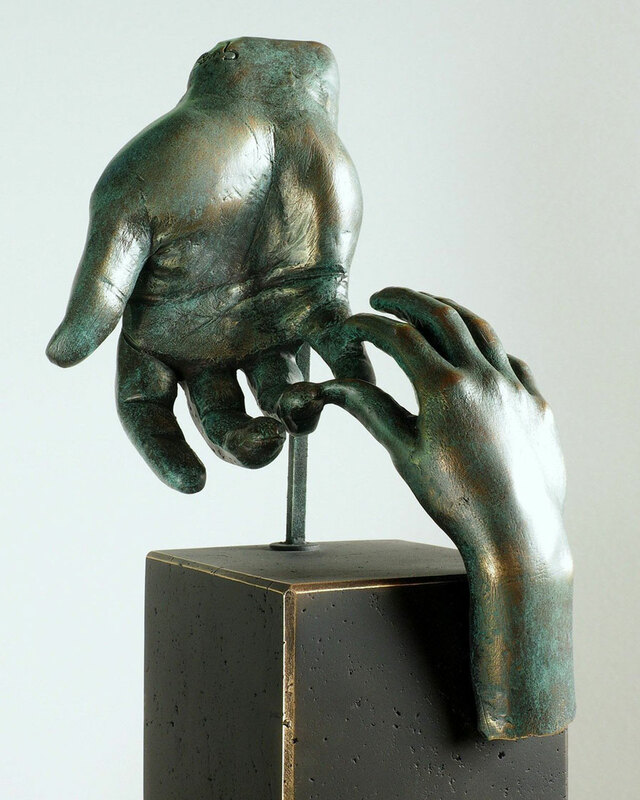 Among the sculpturistic languages of the author, one may find this Realist Sculpture of Miguel Guía named Father´s Hand. 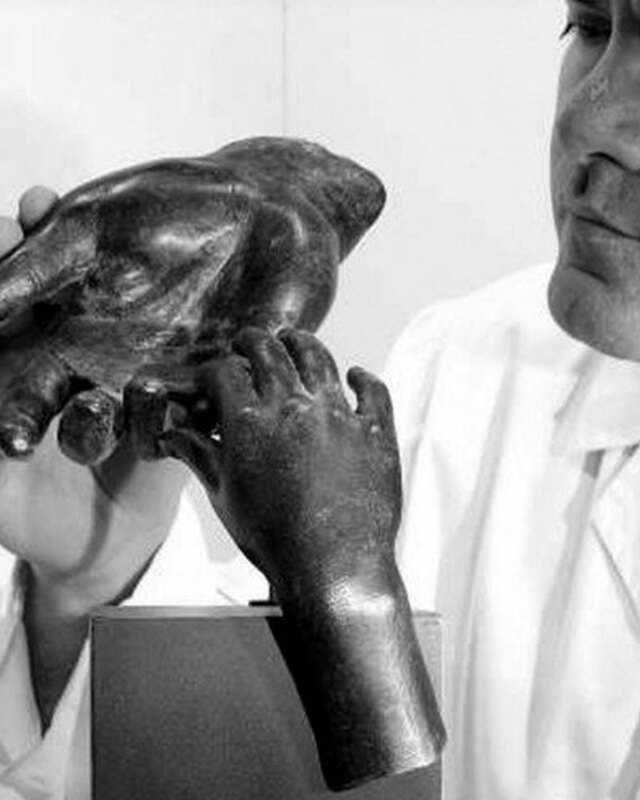 It is a perfect choice for your private collection. 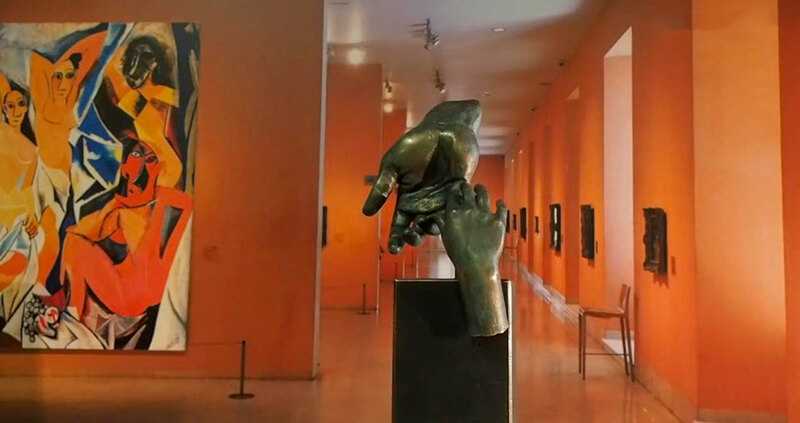 If, as a collector, you wish to invest in art due to its revaluation over, this valuable sculpture is currently exhibited at art galleries. 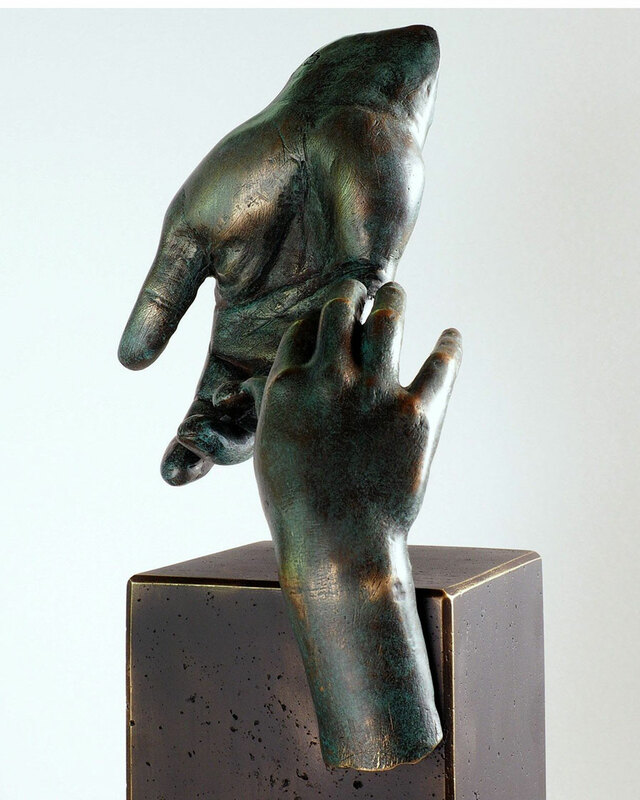 It is part of a limited, numbered and original collection that will be offered by this artist only for a limited time. Once the edition is sold out no more pieces of this artwork will be produced.